Other researchers who found the same security holes months after Horn are amazed he worked alone. 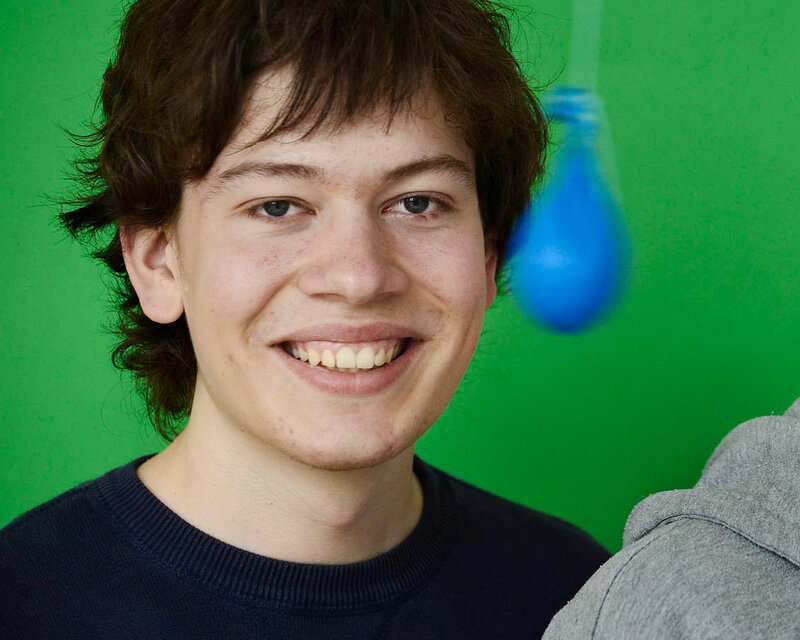 “We were several teams, and we had clues where to start. He was working from scratch,” said Daniel Gruss, part of a team at Graz University of Technology in Austria that later uncovered what are now known as Meltdown and Spectre. But Zurich-based Horn works at Project Zero, an elite unit of Alphabet Inc.’s Google, made up of cybersleuths who hunt for “zero day” vulnerabilities, unintended design flaws that can be exploited by hackers to break into computer systems. So he started looking closely at how chips handle speculative execution — a speed-enhancing technique where the processor tries to guess what part of code it will be required to execute next and starts performing those steps ahead of time — and fetching the required data. Horn said the manuals stated that if the processor guessed wrong, the data from those misguided forays would still be stored in the chip’s memory. Horn realized that, once there, the information might be exposed by a clever hacker. A new glass electrolyte-based solid-state battery has been developed by the researchers at UT Austin. 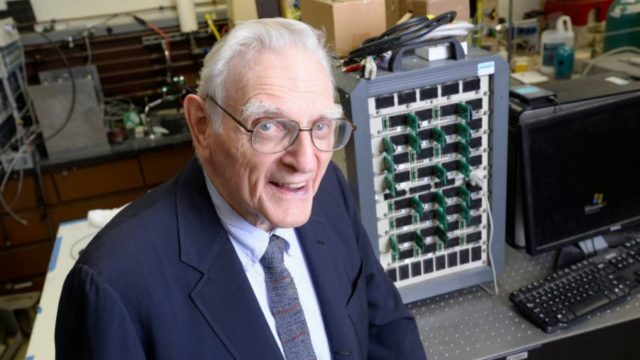 Led by the Li-ion battery inventor John Goodenough, the team demonstrated that their battery is better than Li-ion. It can hold an almost 3x charge, has more charging cycles, supports fast charging, and isn’t prone to catch fire. via Magnetic materials could make future computers 1,000 times more efficient | ExtremeTech. It may seem like this would be an early April Fool’s joke, but the image above shows serious research in action. [Ben Lang] recently had the chance to interview the director of a program that wants to make the Holodeck a reality. The core goal of the research — called Project Holodeck — is to develop an affordable multi-player virtual reality experience outside of the laboratory. We’ve heard speculation that Sony and Microsoft will release their next-gen systems in 2013; we’d rather wait for this to hit the market. [Nathan Burba] is the director of the program. It’s part of the University of Southern California Games Institute and brings together students of Interactive Media, Cinema Arts, and Engineering. The hardware worn by each player is shown off at the beginning of the video after the break. Most of the components are commercially available (a Lenovo laptop worn in the backpack, PlayStation controllers, etc.) but the stereoscopic display which gives each eye its own 90-degree view was developed specifically for the project. After seeing the in-game rendered footage we can’t help but think of playing some Minecraft with this equipment. We just need some type of omni-directional treadmill because our living room floor space is very limited. via University research dollars poured into developing a Holodeck. Kinda old, but forgot to post it. Now this is a Linux machine I really drool over. NASA has selected an SGI Altix supercomputer to help it meet future high-performance computing requirements. The new system will be the first supercomputer to operate 2,048 processor cores and 4TB of memory under control of one Linux kernel, creating the world’s largest single-kernel Linux system, NASA and SGI announced this week. Driven by 1,024 Dual-Core Intel Itanium 2 processors, the new system will generate 13.1 TFLOPs (Teraflops, or trillions of calculations per second) of compute power. Based hundreds of computer “blades” that each sport a pair of dual-core processors, the system provides an extremely high density of compute power per square foot, enabling NASA to pack more computing power into its supercomputing center. NASA also acquired an ultra-dense 240TB SGI InfiniteStorage 10000 system to efficiently handle the massive data storage requirements. Maybe not precisely a TB, but close enough.. I still want one! IMAGINE ONE THOUSAND thousand thousand thousand bytes. A terabyte, if you will. But more than just that—a milestone in storage capacity that hard drive manufacturers have been chasing for years. After more than a decade of living in a world of gigabytes, the bar has finally been raised by Hitachi’s terabyte-capacity Deskstar 7K1000. Being first to the terabyte mark gives Hitachi bragging rights, and more importantly, the ability to offer single-drive storage capacity 33% greater than that of its competitors. Hitachi isn’t banking on capacity alone, though. The 7K1000 is also outfitted with a whopping 32MB of cache—double what you get with other 3.5″ hard drives. Couple that extra cache with 200GB platters that have the highest areal density of any drive on the market, and the 7K1000’s performance could impress as much as its capacity. LAS VEGAS – Comcast Corp. Chief Executive Brian Roberts dazzled a cable industry audience Tuesday, showing off for the first time in public new technology that enabled a data download speed of 150 megabits per second, or roughly 25 times faster than today’s standard cable modems. The cost of modems that would support the technology, called “channel bonding,” is “not that dissimilar to modems today,” he told The Associated Press after a demonstration at The Cable Show. It could be available “within less than a couple years,” he said. The new cable technology is crucial because the industry is competing with a speedy new offering called FiOS, a TV and Internet service that Verizon Communications Inc. is selling over a new fiber-optic network. The top speed currently available through FiOS is 50 megabits per second, but the network already is capable of providing 100 mbps, and the fiber lines offer nearly unlimited potential. The technology, called -DOCSIS 3.0, was developed by the cable industry’s research arm, Cable Television Laboratories. It bonds together four cable lines but is capable of allowing much more capacity. The lab said last month it expected manufacturers to begin submitting modems for certification by year’s end. SAN FRANCISCO (Reuters)—IBM has developed a way to make microchips run up to one-third faster or use 15 percent less power by using an exotic material that “self-assembles” in a similar way to a seashell or snowflake. The computer services and technology company said the new process allows the wiring on a chip to be insulated with vacuum, replacing the glass-like substances used for decades but which have become less effective as chips steadily shrink. It is the latest achievement for IBM researchers, who have announced a number of advances in recent months allowing chips to get smaller despite challenges posed by physical laws at those tiny dimensions. “This is one of the biggest breakthroughs I’ve seen in the last decade,” said John Kelly, International Business Machines Corp.’s senior vice president of technology and intellectual property. “The holy grail of insulators is to use vacuum … and we’ve broken the code on how to do this,” Kelly said. The technique works by coating a silicon wafer with a layer of a special polymer that when baked, naturally forms trillions of uniformly tiny holes just 20 nanometers, or millionth of a millimeter, across. The resulting pattern is used to create the copper wiring on top of a chip and the insulating gaps that let electricity flow smoothly. A similar process is seen in nature during the formation of snowflakes, tooth enamel and seashells, IBM said. Boosters say toys with even the most basic brain wave-reading technology — scheduled to debut later this year — could boost mental focus and help kids with attention deficit hyperactivity disorder, autism and mood disorders.